Damage Report Kit (PM DRK36) makes it easy to photograph, video and document before excavation begins to prevent underground facility damage incurred at an excavation site in accordance with Common Ground Alliance (CGA) Best Practice 5-11, to avoid unnecessary litigation and expensive legal fees to all parties involved. The ProMark Damage Report Kit is also used for documentation and recording damage to buried facilities such as pipelines, fiber optic cables, electrical and all buried utilities. 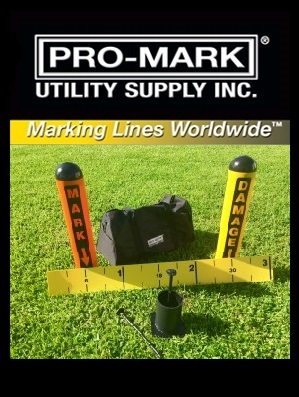 ProMark Damage Reporting Kits are made in the USA, are tough and durable for field vehicles and rugged conditions. Kits can be customized to Company’s specifications.